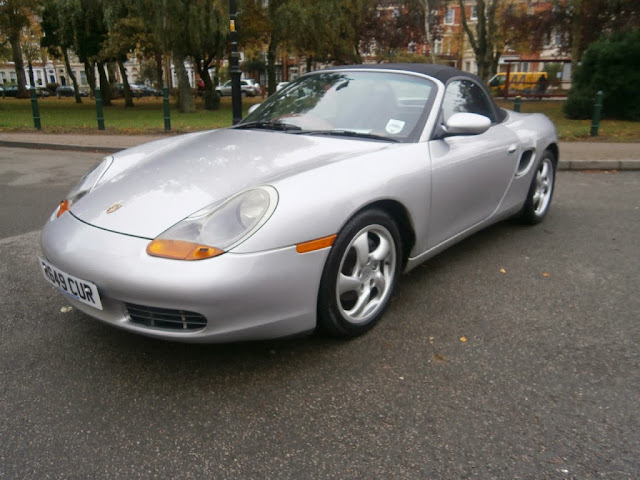 Not just one but lots of Porsche Boxsters are on the market for at or around the £3,500 mark. 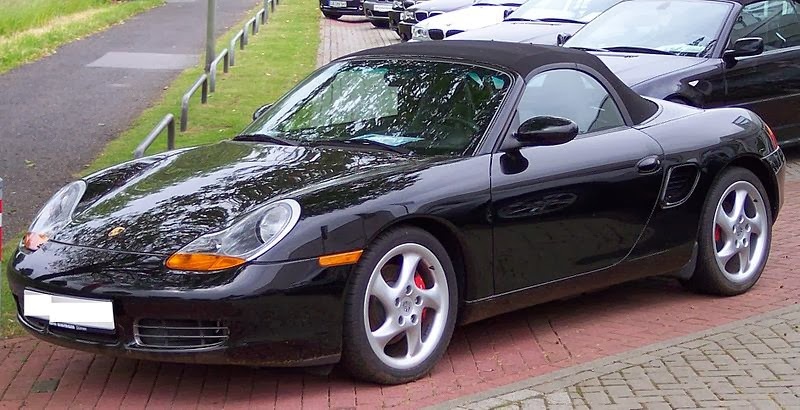 The Boxster might be a full-blooded Porsche with fantastic handling and a mid-mounted engine but depreciation has finally made it a cheap car. Cheap to buy that is. 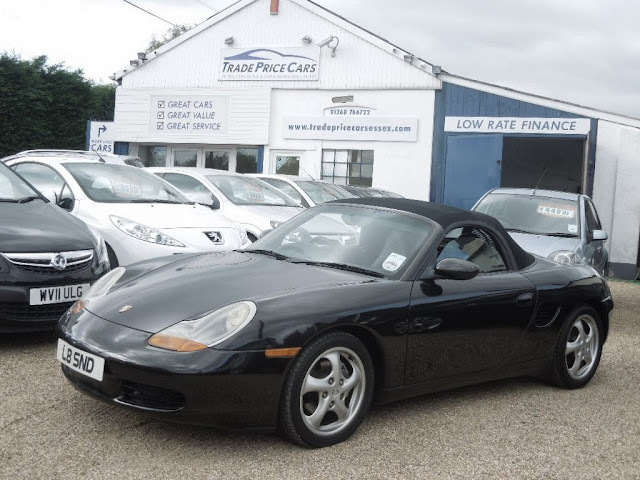 £3,500 buys a 1997 or 1998 Boxster with service history and upwards of 100,000 miles, but there are plenty of grotters out there being offloaded by unscrupulous dealers getting ready to put on their 'innocent face' when you bring it back with a multitude of problems. Porsches might be cheap to buy but parts can cost a lot compared to other manufacturers. Then there's the fact the engine is completely hidden away so is difficult to inspect. Problems to look out for in early Boxsters are rear main bearing oil seal failures, engine intermediate shaft bearing failures and cracked bore liners. The only outward sign of any of these is a mayonnaise like substance under the oil cap which means water has mixed with the oil and is a sign of cracked bore liners. The only way to really check for any of these problems is to make sure you buy a Boxster with a regular Porsche specialist service history and get all OCD on the paperwork - and phone the garage who serviced it. This one looks good on paper. It is a manual (Older tiptronics can have problems and should be avoided) so you can check all the gears and clutch. At 155k miles it should be on its second clutch. If the bite point is right at the top then walk away as it needs a clutch. The dealer's use of syntax and capital letters ("DONE A FEW MILES BUT DRIVES GREAT") suggests he doesn't have the highest IQ. The full service history needs to be checked out. If it's just stamps in a book then walk away. You need receipts which you can study. Yes I know it's advertised for £3,800 but £300 is not a lot to knock off. It's a private sale and the advert doesn't say much but if you read between the lines it tells you a lot about the owner. He picks out tiny problems with the car, it's advertised as having perfect bodywork, it has full service history and he's bought a new Boxster S. These are all good signs. A poor owner wouldn't point out a "...small crack in the number plate." This one seems to tick all the boxes but I'd stay away from it for a number of reasons. It's being sold by a dealer who sees fit to point out that it's a "CLEAN EXAMPLE". This is lazy dealer talk when there's nothing good to say about a car. Also the plastic rear window is ripped. A car for sale needs to be presented well and a ripped window is another example of laziness and a need to get rid of it before it costs the dealer any more money. Take a look at that front passenger tyre in the photo. It's half flat and must have about 10psi in it. More laziness and sloppy work. Finally the number plate is italicised. This is just a personal thing but I struggle to trust the character of an owner who puts a number plate with italics on his car. Never mind that it doesn't even look very good it is a chavvy mindset that doesn't sit well with me. I wouldn't touch this car with a bargepole.